Locust Moon’s Josh & Andrew will be in Washington, DC this weekend for Awesome Con. 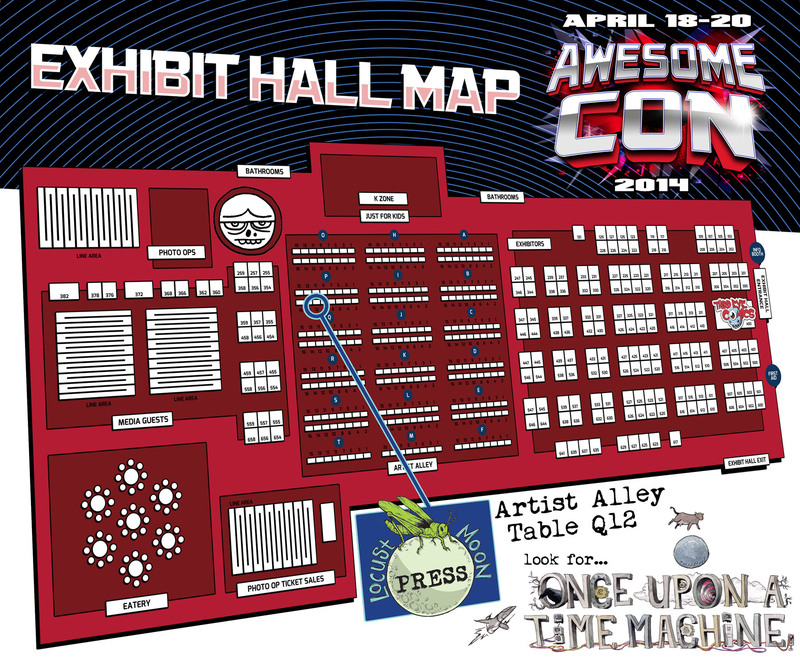 Look for the giant banner of Farel Dalrymple’s always-entrancing and eye-catching ONCE UPON A TIME MACHINE cover at Table Q12 in Artist Alley. As always, we’ll have all the Locust Moon Press books, as well as prints and fun free stuff. Come find us!